* 7.1 USB sound card delivers thrilling surround sound with separately adjustable levels. * Unique 4-pieces of padded headband and comfortable ear cushions guarantees hours of gaming comfort. * Reinforced headband, which offers nine levels of height adjustment for the perfect fit. * The microphone is flexible for exact positioning. * Spotlight design on the ear cups. * Little smart in-line Remote Control for sound and Mic. Perfect for playing game, listening to music, watching movie, chatting online, etc. 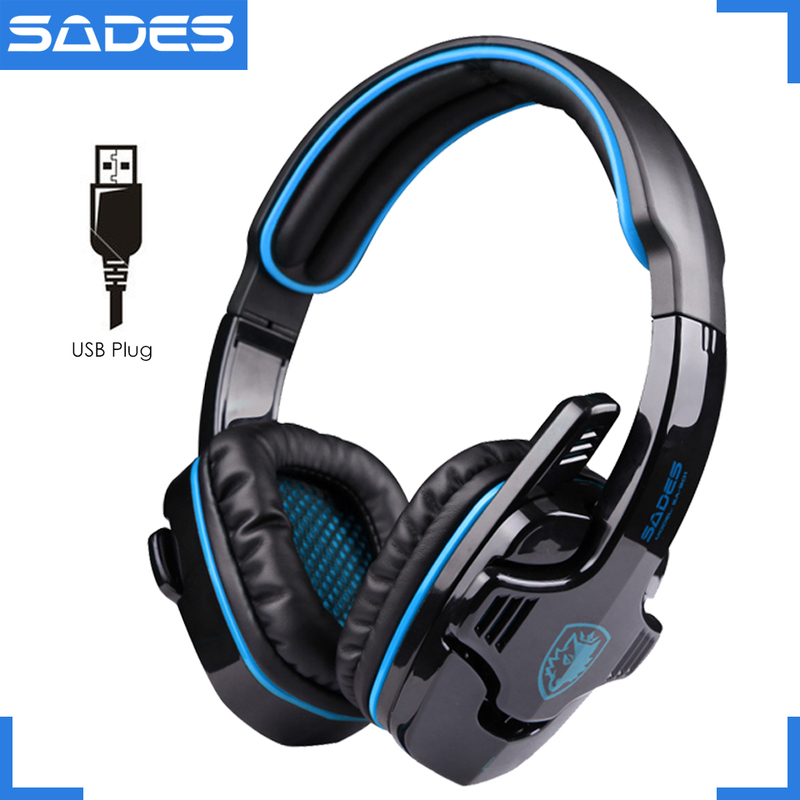 SADES, with over 20 years of professional production experience and strong technical force, it is outstanding in the circle of gaming peripherals, devoting whole life to provide highest standard and professional gaming accessories. Company with its own industrial park and 250 R&D technicians for modeling, structure design, electronics, user interface, and software, it has introduced latest advanced modernization production assembly line, the check-out facility, and automatically mechanized production equipment, more while being both lead-free and environmentally responsible.ISO9001,ISO14001,CE,ROHS,SVHC,FCC,UL,FDA are certified.